Broken or damaged concrete walkways and sidewalks are not only an eyesore but they can also cause pedestrians to trip and fall. If you have broken concrete walkways and sidewalks on your property, you should call in the professionals, Cook’s Concrete Construction Co. Inc.
You can rely on our highly skilled and trained technicians for the efficient and thorough completion of the work on the concrete sidewalks. We are very aware of concerns about cost when doing projects. We are competitively priced and will work closely with you and your budget. 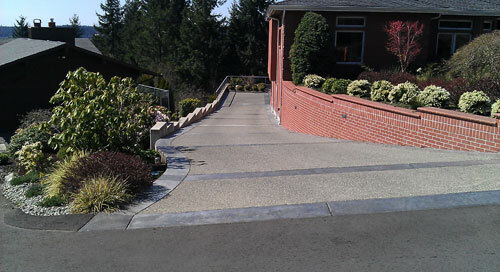 You can choose the right look from our various concrete sidewalk designs to enhance the beauty of your area. 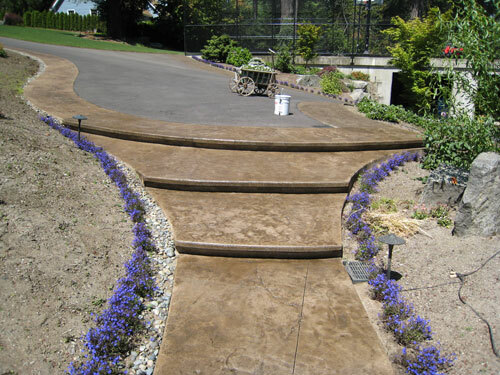 The concrete walkways around a house or area are not just pathways to reach places but they are a part of the property and they can be used to add to the beauty of the area. With concrete sidewalk construction done as just as you requested you will be able to add to the beauty and increase the value of your home. You can choose the designs of the walkway by having a look at the concrete driveway pictures and the concrete driveway designs we offer. 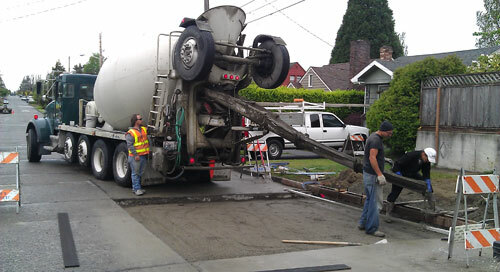 If you need concrete driveway installation or installation of concrete sidewalks and walkways in Lakewood, call Cook’s Concrete Construction Co. Inc. at (253) 777-1901.